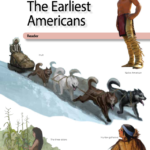 Across 17 lessons, this unit introduces some of the different peoples who populated America many years before the arrival of European explorers—some as early as thirty thousand years ago along the Pacific Coast, and others who traveled from Asia across Beringia, the land bridge. Students explore how these early peoples spread across North and South America, adapted to their environments and developed unique cultures. 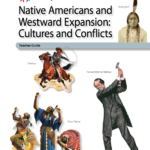 Across 7 lessons, this unit explores the ways of life of diverse Native American peoples and how their cultures were disrupted, displaced, and profoundly altered by westward expansion and American government policies and practices in the 1800s. Some of the content of this unit is tied to the “Pathway to Citizenship,” an array of civics-focused knowledge, questions, and activities. 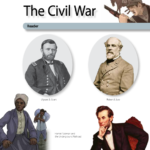 This unit explores the political, historical and cultural causes and consequences before, during and after the Civil War, one of our nation’s greatest crises. Across 24 lessons, students engage with the material through primary sources and consider the influence of abolitionists and other intellectual as well as military and political figures. The unit explores the westward movement of Americans in the nineteenth century: the early explorers, effects of new developments in transportation, Native American resistance to settlers, and the treaties broken by government officials. 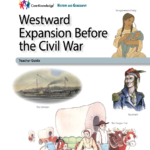 Across 10 lessons, students explore the use of Manifest Destiny to promote the acquisition of US territory, the annexation of Texas, the Oregon Trail, and the California gold rush. 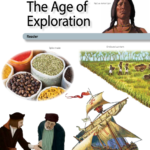 This unit introduces students to European exploration and trade from 1400 to the 1600s. Across 12 lessons, students learn about motivations for European exploration and study specific explorers, learning about their encounters with indigenous peoples. Students are introduced to the early slave trade and the beginnings of slavery in the Americas. This unit reinforces map and globe skills as students learn about the geographic characteristics of different regions of the United States: New England, Mid-Atlantic, South, Midwest, Great Plains, Rocky Mountain, Southwest, and West Coast. Across 13 lessons, students explore the climate, natural resources, culture, and other distinctive characteristics of each region. This unit (the second part of Early Presidents and Social Reformers) focuses on the efforts to improve American society in the early 1800s. Across 6 lessons, students learn about the temperance movement, free public education, the abolitionists’ crusade to abolish slavery, and the early women’s rights movement. The unit explores early reformers’ legacy in ongoing modern-day struggles for equality and civil rights. 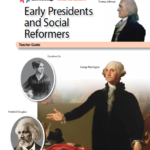 This unit (first half of Early Presidents and Social Reformers) focuses on the first seven presidents of the United States. Across 9 lessons, students learn about how the early presidents organized the federal government, built a national capital, directed a second war with Great Britain, more than doubled the size of the country, and formulated a “hands-off” foreign policy in the Western Hemisphere.